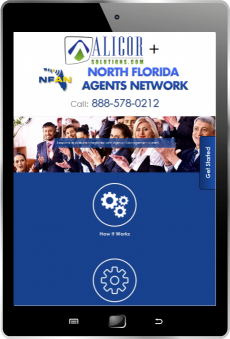 our mobile responsive websites provide the tools and include the content you need. Thank you SO very much for everything. You have been seriously the best to work with and made this whole process very effortless for me. 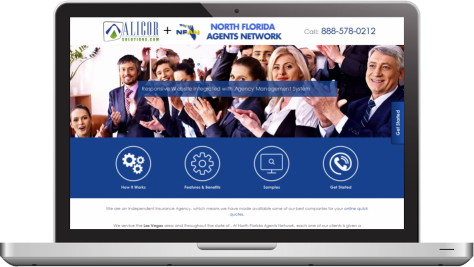 I am hoping my other friends that have agencies will use you/Alicor as well! This has been a 2 year process finding someone I can work with that understands what I want/need and you were well worth the wait! Even better, THANK YOU!! 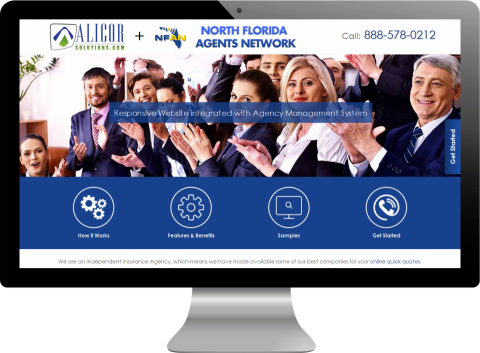 Thanks for reaching out, we have been very pleased with our Website, I’ve given a ALICOR SOLUTIONS referral to several other people as well. - Lisa Yoder - Van Lierop Insurance Services, Inc. 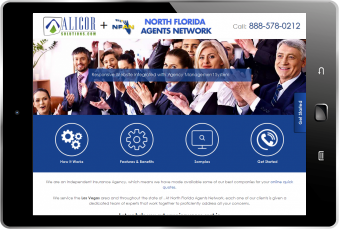 I just wanted to let you know how impressed we were with Alicor in helping us set up our website. We were completely clueless on what we were doing and how to do it. You gave us great ideals and solutions. Alicor completely exceeded our expectations. I would recommend your company to anyone wanting a professional website. Thanks again. Call us today and your new site could be ready within a week!